I have a concealer roundup today on some newer formulas I’ve been testing from a number of brands. Today I’m covering concealers from Cle de Peau Beaute, MAC, First Aid Beauty, Cover FX, Sisley plus another look at Charlotte Tilbury. 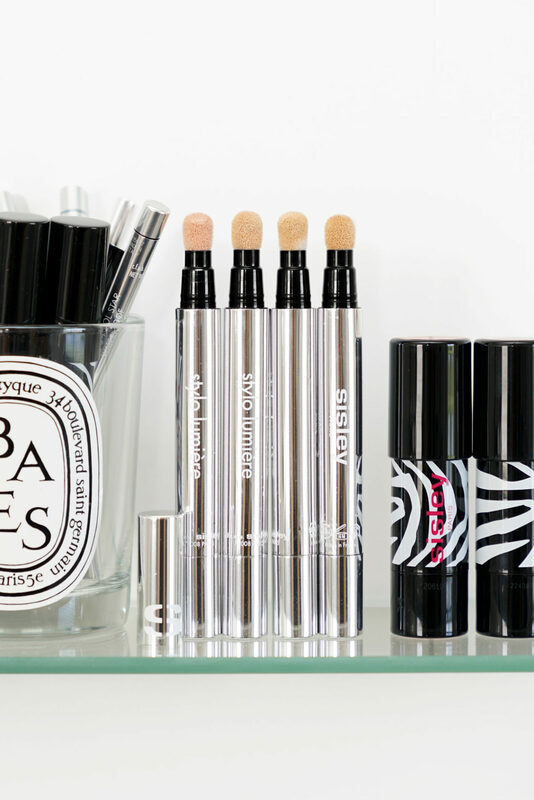 There are so many different types of concealers on the market and each formula has a different purpose. Finding one that works for you truly depends on where you want to use it, how much coverage you want and also your skin type. Your moisturizer and foundation routine are also important in finding formulas that are right for you depending on whether or not they contain silicone, if they’re oil-free or not, etc. I’ll be giving you my thoughts on each formula and how I think they work the best. At the end I’ll give my recommendations by coverage/type. I do want to mention briefly that I appreciate the discussions these days about expanding shade ranges and inclusion. Many brands still have a long way to go including some of the ones I’m featuring today. I know readers who are very fair or very deep have challenges finding options they can wear when color ranges are so limited. I think bringing awareness to brands about color gaps will help them learn more about where they need to expand. We’ve seen some brands take the feedback to heart and expand their ranges! 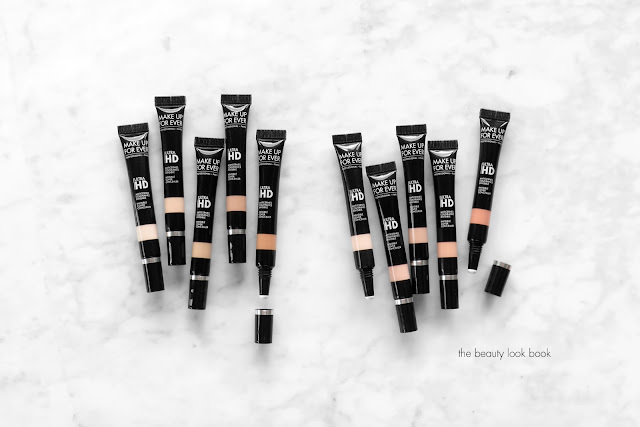 First is a look at the First Aid Beauty Hello Fab Bendy Avocado Concealer ($22 for 0.17 oz/4.8 g). This is one of the few I feel rivals my favorite NARS Radiant Creamy Concealer. In general I like a creamy concealer that has a medium coverage. I don’t usually do spot cover-ups – usually under the eyes or around the nose/mouth where I have redness. For the most part my foundation does most of the covering I need. 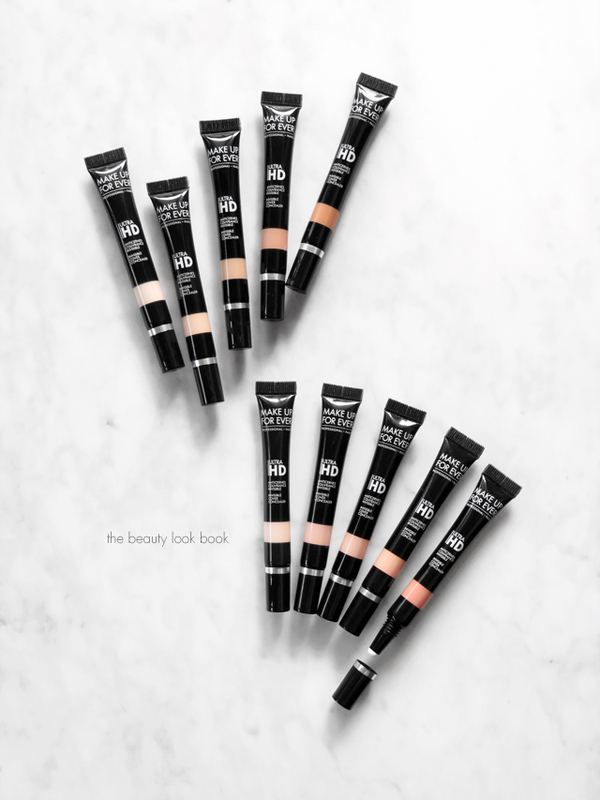 The First Aid Beauty Hello Fab concealer has a luminous finish that is weightless and glides onto the skin. I like that it’s been compatible with all the foundations I’ve tried. It doesn’t drag, cake or crease. It blends in well with the skin. I like Shade 3 the best for brightening. It comes with a soft flexible sponge tip applicator which I like the best. Available in 7 shades at Sephora and First Aid Beauty. MAC Studio Fix 24 Hour Liquid Concealer ($22 for 7 ml) is another great option that’s multi-purpose. It has medium to full coverage on me. It’s creamy and blends in easily with the skin. I can use it to brighten or spot conceal and it does last on me all day without budging. It has more coverage compared to the First Aid Beauty and NARS options with a slightly more opaque feel. It comes in 33 shades in both warm and cool undertones. I found the colors ran a little bit lighter than the other MAC concealers I’ve tried. I use NC35 in the Pro Longwear Concealer (full coverage and thick). In the Studio Fix 24 Hour version I found NC38 and 40 to be a better match. I haven’t tested it for a full 24 hours but it did last all day on me. Under the eyes it can pull a bit heavy especially if you have dry skin in which case I’d recommend you just make sure your under eye is primed with a good serum or opt for something more creamy or emollient like the First Aid Beauty or NARS options. Available at MAC, Nordstrom, Ulta Beauty. Cle de Peau Beaute is a brand I try to stay away from because I’m always afraid I’ll fall in love with something but don’t want to because of the high price points. The quality cannot be beat in many of their products. 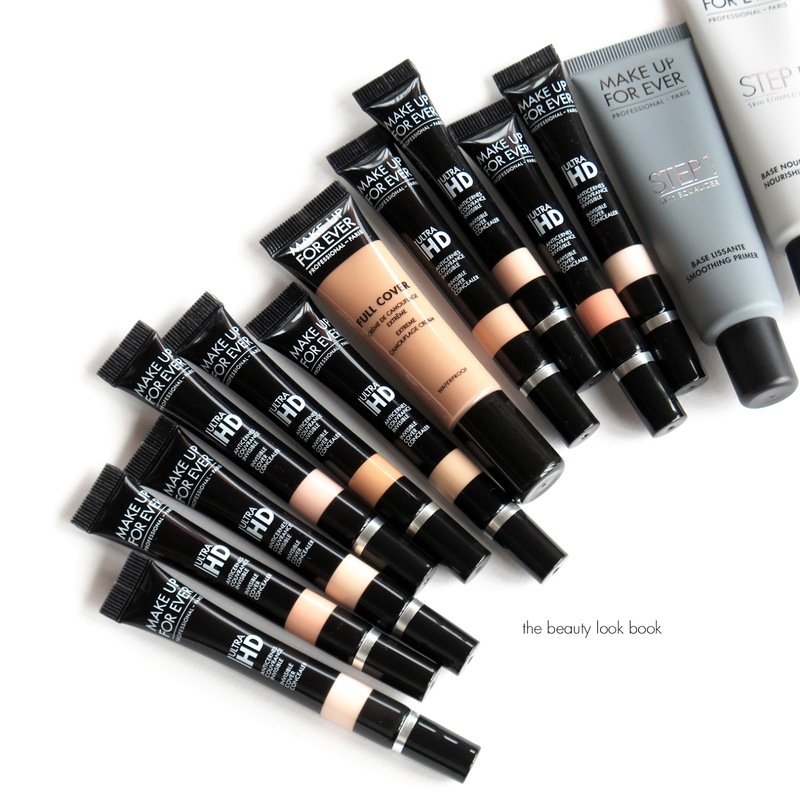 Their Concealer was a go-to for a long time for opaque full coverage. I used to use the colors Beige and Almond. Since moving to Florida I have darkened and am more tan so Ocher is the color I use now. They reformulated the Concealer with SPF 25 ($70 for 5g/0.17 oz) and I found it to perform the same as the original. It’s very opaque and a little goes a long way. Since it is very opaque if you’re using it under eyes I find the best way for me to apply is by warming up a little on the finger then dabbing it under the eyes and blend. A number of you asked for a review on the Radiant Corrector for Eyes ($65 for 2.2 ml/0.08 oz). This is easier to use under the eyes for me. It comes in a click applicator with brush. It has enough coverage and pigment to cover some darkness. It is more emollient and creamier so it does not have a flat matte finish like the stick. Even though I consider myself a die-hard NARS fan I find myself reaching for this one a lot for under the eyes. Color-wise the Concealer Stick in Ocher has always been slightly too olive for me but it does work once blended. The Radiant Corrector for Eyes in Ocher has a little bit more gold which is perfect for me right now. I also did look at Almond which on my tan skin looked a little pink. When it comes to under eyes I don’t need an exact match – sometimes having a little peach or pink can really help to counter darkness. I could have gone either way, but picked Ocher since I tan really easily. Both are available at multiple retailers, I usually purchase my items direct from Cle de Peau, Nordstrom or Neiman Marcus. I re-swatched all the Cle de Peau stick concealers below from a sampler card I got as a GWP. I only have 1 swatch for the Radiant Corrector in Ocher which is the one I bought. Sisley Stylo Lumiere Radiance Booster Pen ($65 each) comes in 4 shades and is a highlighting pen I like to use in place of concealer under the eyes. This really does give the complexion a brightened radiant look and to me performs better than the cult classic YSL Touche Eclat. Coverage is medium and natural. I simply twist click the product into the sponge and apply directly on the face in a few dots under the eyes – usually 3 per eye. Then I blend with fingers and set with powder. It stays put on me all day long. I use Shade 3 and really wish it came in more color options for others – the formula is really good! Available at Sisley-Paris, Nordstrom, Neiman Marcus, Beautylish. Cover FX Power Play Concealer ($30 for 10 ml) is a full coverage concealer. It’s one of the best full-coverage concealers I’ve tried for spot coverage. They also say you can use to highlight and contour – I’ve tried both and for me the coverage is really opaque and intense so using it for either works only if my base is slightly dewy. If I use a tinted moisturizer or glowy base I can add the Power Play on top to add more coverage, highlight or correct under the eyes. If I use a full coverage base underneath this concealer can be prone to dragging because it does have a semi-matte finish. The good things about this formula: it has smooth full coverage, comes in a wide shade range, stays put and doesn’t crease. They have a useful chart to help you find your shades. I use G40 and G50 mixed in the Power Play foundation (reviewed here). I found the colors G Medium 1 or 2 worked best for me. I do not think this will work for you if you have super dry skin or use a super matte foundation. I do think dry skin can be adjusted by making sure you are well moisturized and primed, but if you have a lot of fine lines or creases this may emphasize them. Your best bet is to go to a Sephora or Ulta and try in person. I do think the Cover FX line is great for the variety of undertones they have. I struggle to find yellow/golden colors and they have the G range which is great for me. They also have the G+ range which is more olive than I can wear, but great for those who are truly olive. For spot coverage this is a win. For under eyes/highlighting I have other favorites as this one is very opaque and I prefer more creamy/sheer for those areas. Last but not least I wanted to give the Charlotte Tilbury Magic Away another look since it’s newer and thought it would be helpful to put in the roundup. I still really like this for a full coverage concealer and for me it does work under the eyes. I find it compatible with the Charlotte Tilbury foundations which are natural in finish. A large number of you have messaged me on social that you had challenges with this formula to which I have a few thoughts. One is a little goes a very long way – you just need a tiny bit! Two is the applicator can be problematic when applying and blending. I use the applicator to dot on areas I want to apply then blend with a separate sponge. Three is that since it’s so opaque and full coverage it probably will not be good under the eyes if you have dry skin. I’d recommend priming the area with a nice emollient serum or any of her glow products. My full review here. 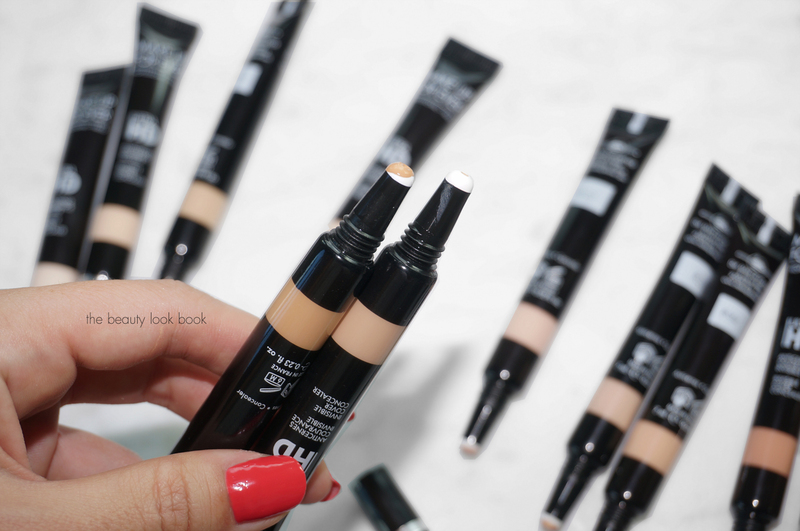 That wraps up my concealer roundup review! I hope you found this helpful. I didn’t mention about setting but I always set everything with a powder to make it last. My favorite powders in this post here. If you’ve tried any of these let me know in the comments what worked or what didn’t! Press samples include the MAC 24-Hour Concealer, Cover FX Power Play, Sisley Stylo Lumiere and First Aid Beauty Hello Fab. NARS launched a new concealer called the Soft Matte Complete Concealer ($30 for 0.21 oz) and being the fan that I am of their bases I knew I had to try it. To date the Radiant Creamy Concealer ($30 for 0.22 oz) has been one of my favorites for under the eye and around the nose to help with redness and create a more brighter more awake look. Since I tan easily and also because I use a different shade under the eyes versus spot concealing, I rotate between three shades. I used to mix Custard and Ginger together for my best match. Then NARS added another color in between which is Macadamia with slight peachy tones. This one is perfect for me as I actually prefer something with the tiniest bit of peach for under eyes. The warmth helps brighten the eye are for me. For the Soft Matte Complete Concealer, I ordered the same three shades. The colors are pretty close between formulas for the ones I bought, not identical but pretty close. 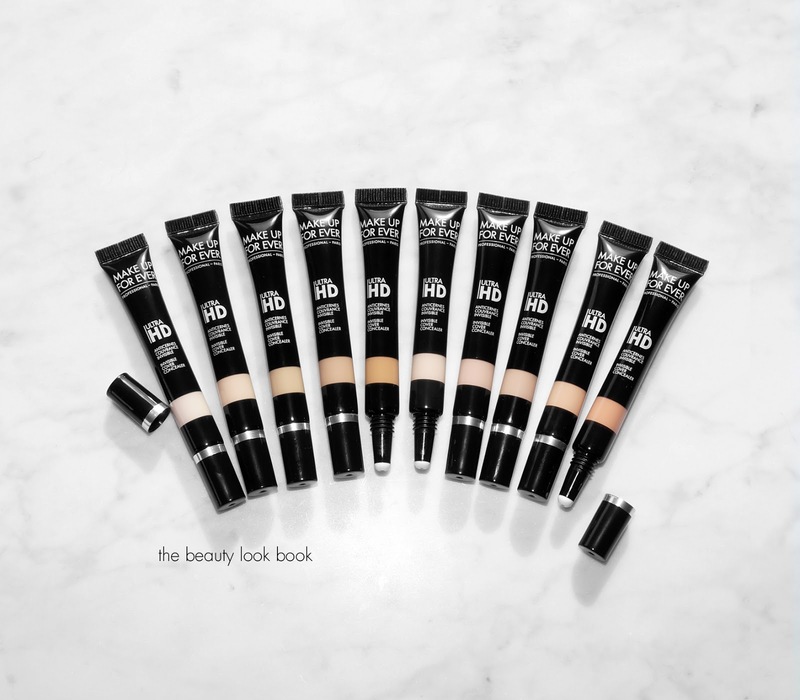 The Soft Matte Complete Concealer offers full-coverage finish with a soft matte look. It’s oil free, light weight yet ultra pigmented so a little goes a long way. It feels creamy and soft to the touch, almost like it has just the slightest bit of bounce. I tried it under the eyes and on a few spots using the finger to dab and blend. Under the eyes it was like an instant eye lift with a blurring effect. It didn’t cake or darken and lasted all day (I did set with powder). For spots it didn’t cover them 100%, but I would say that it still did a really good job at covering them to about 85% of the way. For the corners around the nose it works well to reduce redness. Color-wise these look a bit dark in the pot. Also side by side I thought they all looked the same in the container. Even when swatched on the back of my hand and arm I thought they were all going to be too dark but they actually work better than I expected on the face. I love that it blends effortlessly on the skin and even though the coverage is near full it still manages to look natural on the skin. I will say that I have normal combo skin – since it’s matte and opaque I do think if you have dry under eyes it could emphasize dry patches. In this case I would just make sure you have a good primer to hydrate the eye area (I like the Marc Jacobs Coconut Primer for dry skin days). The Radiant Creamy Concealer has been a long-time go-to for me. I tend to prefer something with a tiny bit of radiance because I find it blends better on my skin type and also looks more natural. Matte often looks too opaque, too matte and therefore a bit fake on the skin. For years the Radiant Creamy Concealer was one of the few I could use under the eyes no matter what condition my skin was in regardless of season and weather. I still love it. If I had to pick one, I would say Radiant Creamy wins because of the packaging and also because I like something a bit more creamy. I’m not the biggest fan of pots because they tend to get messy. I also really don’t like matte finishes because I find they don’t work the best with my skin – they tend to emphasize pores, imperfections and look cakey. However for a matte formula the new Soft Matte Complete Concealer is seriously impressive and I do think it’s worth owning even if you have the other formulas. I found it easy to blend, but that being said if you need something with a bit more slip to blend easier, go with (or stick with) the Radiant Creamy Concealer formula. I didn’t swatch the Radiant Creamy one on the face as it blends out slightly sheerer so it’s a bit more forgiving color-wise. When I use any of the shades, Custard, Macadamia or Ginger, it blends to match the skin really well – it looks so natural you can barely tell there’s anything on the face. I do have side by sides of the corresponding shades in both formulas. You can see the difference in finish. Colors are pretty close but I feel the Radiant Creamy formula has slightly more yellow undertones. Bottom line a solid win. Macadamia is the best match for me, but if I need a bit of brightening I can mix in some of the Custard to lighten or brighten certain areas. Since I tan easily I suspect Ginger will be a match within the next few months and as I’m often in between shades I don’t mind owning multiple colors so I can mix them as I transition between colors. I don’t know how I feel about the pot style. I’ve avoided this type of packaging for years and a quick look at my concealer stash shows that they are literally all either wands or twist/click up pens. I also don’t like that NARS does that matte almost velvety finish packaging on their face products because it gets dirty so easily. If you get any bit of concealer or cream product on it, it’s pretty much stuck there forever (I’ve tried getting it off, but it’s near impossible). It’s not a deal breaker though and that’s just me being picky. You can find both the Soft Matte Complete Concealer and Radiant Creamy Concealer at all counters now. I bought the new Soft Matte Complete Concealer from Sephora. It’s also available at Nordstrom, Neiman Marcus, Barneys New York and all other NARS counters. Have you tried this one yet? What did you think? If not, what are your current go-to concealers? P.S. I’m also testing out concealer formulas from Too Faced, Tarte and will compare them to Kat Von D in the next couple of weeks. Laura Mercier added two new items to her Candleglow Collection with a Sheer Perfecting Powder ($38 for 9 g / 0.3 oz) and Candleglow Concealer and Highlighter ($32 for 2.2 ml/ 0.07 fl oz). I received some press samples but also ordered one of the powders sight unseen online as I was unsure of what color I would be. The color options are on the small side with six powders and seven concealer shades but I will say up front the range is pretty wide – if you have medium to deep skin tone I think there’s a good chance there will be a match for you. I reviewed her Candleglow Foundation earlier this year back in February and still find it to be a very good for giving medium natural-looking coverage with a dewy but not too dewy finish. I still am in between shades and have to mix colors (I mix Dusk and Golden, although there is a possibility there is a better match – I just haven’t had a chance to reinvestigate). The Candleglow Sheer Perfecting Powders have a soft finish which makes the colors more forgiving if you don’t have a 100% exact match. I can use either #1 or #2 to set my foundation and I am beyond obsessed with both. The color difference is noticeable on my face if I apply one on each side to set. Dusted and applied to the whole face both give the face a gorgeous flawless finish that is matte and radiant at the same time. There are shimmer particles to the powders which are apparent with a heavy swatch. On the face it gives a subtle glow much like the Hourglass Ambient Lighting Powders in Dim Light or Diffused Light. Ithink the colors for the Laura Mercier Candleglow powders work better for my skintone compared to the Hourglass ones in terms of setting powders. Lasting power is very good and it stays put well. After a few hours I don’t look like a greaseball. It has a forgiving finish like the Chanel Les Beiges Healthy Glow Sheer Colour powders. #3 is too dark to set for all over the face but I can use it as a soft wearable contour to warm up the complexion. To date the Charlotte Tilbury Flawless Finish Powder in #2 is my holy grail setting pressed powder because it really does give the skin a flawless finish, doesn’t darken and doesn’t make the face look flat. Now that I’ve tried the Laura Mercier it is now tied as my second favorite pressed setting powder. Swatches next to the Hourglass Ambient Lighting Powders in Dim Light and Diffused Light. I added the Laura Mercier Matte Radiance Baked Powder in Bronze #2 to compare below. Up next are the Candleglow Concealer and Highlighters. These come in a click-type of pen applicator with a puffy sponge tip. My best match is #2 which is an exact match for my under eye area. For this one, the coverage is medium in coverage under eyes and the applicator is very soft to the touch. It has a hydrating glowy feel but isn’t heavy. I have mixed feelings about this one – for my undereye area it just doesn’t offer enough coverage. Texture wise it’s good. There are few concealers I can wear under my eye area because most look super patchy or emphasize fine lines and end up making my skin look dry and aged. The Candleglow works well to covers dark circles and brightens and the fact that it has a dewy finish makes it so it feels nice and blends well and does not look dry. I just need more visible coverage so this one is not for me right now. To use as a highlighter on the face works better for me, however given the packaging design I think layering it on the face, especially if you layer over foundation will get the applicator dirty fast. I suspect it might be easy to clean off with a bit of cleansing water and cotton pad. If you’re one who finds you only need a little bit of extra coverage this is a nice one to check out. 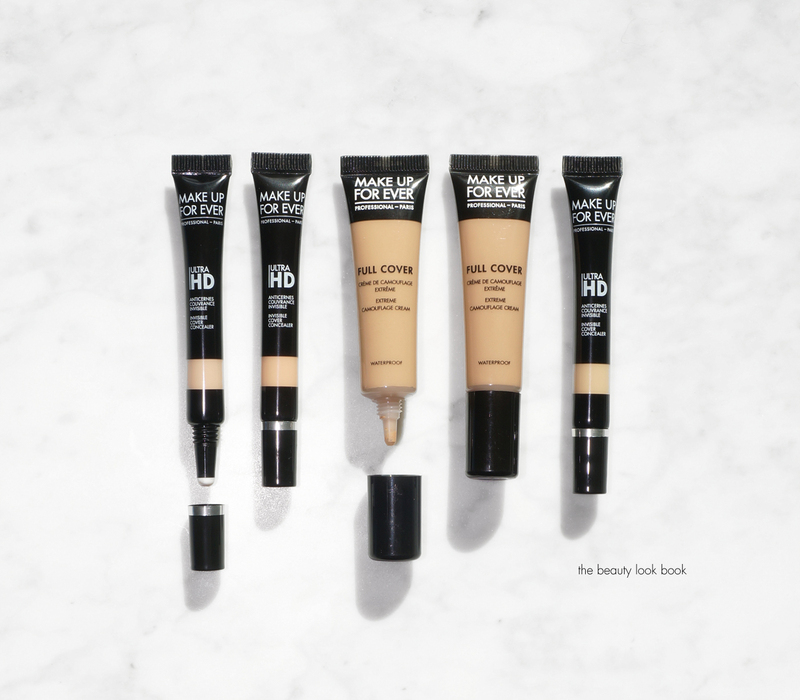 If you need more noticeable coverage, I’d say opt for the Make Up For Ever Ultra HD Concealers or NARS Radiant Creamy Concealers instead. Swatch comparisons below to MAC Prolongwear Concealer in NC35, NARS Radiant Creamy Concealer in Custard, Macadamia, Ginger, Charlotte Tilbury The Retoucher #3 (which is too dark for me now) and Natasha Denona Eye Light #2. You can find both the Candleglow Sheer Perfecting Powder and Candleglow Concealer and Highlighter at Laura Mercier counters now. Online at Laura Mercier, Sephora, Saks Fifth Avenue, Neiman Marcus and Nordstrom. Laura Mercier Candleglow Setting Powders and Candleglow Concealers provided for review consideration. Powder #3 purchased by me. Natasha Denona’s Star Palette ($169) launches today at Sephora and Beautylish and it’s a stunning beauty with 18 eyeshadows. The shadows are cased in a magnetic flat palette similar to the Eyeshadow 28 Palette (Green Brown reviewed and swatched here). The overall color theme of the Star Palette is warm, bold and glitzy. She’s launched some other basics for eyes over the past few months and today I have a roundup to share with you today. wearing. I also don’t wear reds or wine colors on my eyes. Still this palette has a mix of colors and textures that is mesmerizing. In general I really like Natasha Denona’s mattes and shimmers – they are really great in quality, smooth in texture and have the prettiest finishes. Her glitters come in a mix of really fine shimmer/glitter and then chunky. Out of all the colors in this palette I would say there are 2 glitters I won’t wear and 2 of the reds that I don’t think I would wear on my eyes. The colors are all very soft in texture. The glitters and crystal shimmer colors are a bit chunky and prone to have more fallout when you apply so it’s best to use with a damp brush or over a super creamy base in a patting motion rather than brushing. Quality-wise her shadows are excellent. When it comes to palettes if there are 2-3 shades I don’t think I will use I try to restrain myself from purchasing so in this case if I had applied my rule I would have probably skipped it (this was kindly gifted by Natasha). Next are here Eye Light Highlighting Concealer and Eye Shadow Base. I’ll say up front I give both a thumbs up. For the Eye Light there are four shades, my best match is Shade #2. These come in a twist up click pen applicator with a brush. #1 for some reason was a dud for me as there was a lot of separation that happened inside the tube and the product came out very watery. The other three shades had no issues. These have what Natasha calls “spherical powders” inside which means they don’t need to be set with powder after application. I always set concealer and foundation with powder, but the formula really is one that sets well and doesn’t need power. Swatch comparisons for reference to NARS Radiant Creamy Concealers, Make Up For Ever Ultra HD Invisible Cover Concealer (review here) and MAC Pro Long Wear Concealer in NC35. I use these under the eye and they cover my moderately dark circles really well and brighten the area. It goes on smooth, there’s no creasing and they blend to a flawless finish. Many look dry under my eyes (the NARS, MAC and MUFE are among the few I can wear) and the Natasha Denona one joins the club of Beauty Look Book approved undereye concealers. It doesn’t darken which is a huge plus for me in terms of color matching. Next are the eye bases which are creamy and dry to a soft smooth finish. I feel as though I’m one of the few who does not have oily lids – I usually need a base with some kind of emollient texture and to date the Edward Bess Illuminating Eye Base has been my favorite. Others like ones from NARS, Urban Decay, Too Faced, etc. dry out my lids and make my skin look wrinkled. The Natasha Denona Eye Shadow Base is perfect for evening out the lids and has a creamy feel to help powder shadows adhere better, not just with her brand but also other powder shadows. I find it tied in terms of quality and finish with the Edward Bess one. Last but not least are the Eye Lash Curler and Blackest Black Mascara. I found both to be just ok, but not great. For some reason the Eye Lash Curler just would not curl my lashes, although the shape and size worked well for my eye shape. No pinching and my fingers fit inside the loops just fine. I just found the curling pad didn’t help create a curl like the MAC Eye Lash Curler or Chanel Eye Lash Curler (my two favorites). The Mascara has an odd shape brush, almost pear-shaped and I had a difficult time getting my lashes coated with the brush. It did add depth and dimension. There was no smudging which many readers know is rare for me with most mascaras. I just need lots of volume and this was lacking in that department for me. For reference two that work for me right now are the Stila Huge Lash and Bobbi Brown Eye Opening Mascara. 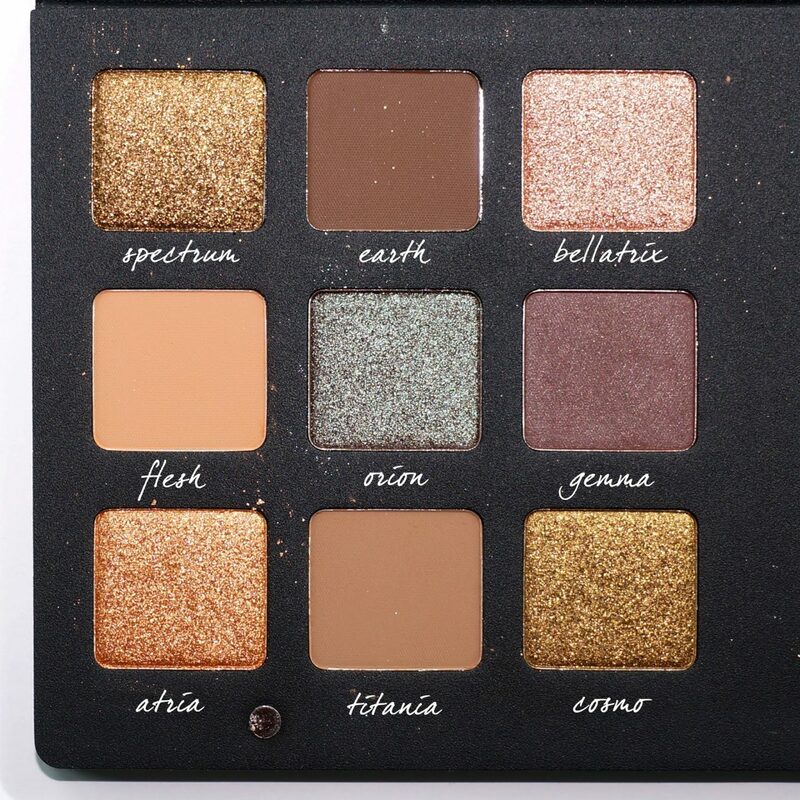 I think the Star Palette has some amazing colors but palettes can be hard to love if you don’t love all the colors. There are only 4 out of the 18 I don’t see myself wearing on a regular basis and perhaps I’ll experiment more with the glitzy ones in the upcoming weeks. The Eye Light Concealer and Eye Base are both excellent – I hope the swatches help if you’re ordering sight unseen. You can find select Natasha Denona products now at Sephora and Beautylish. Do note that the Sephora Rouge 20% off sale starts soon and will run from 11/4 to 11/7 so if you have this on your wishlist you may want to wait until the sale to buy this. Many thanks to Natasha for sending a lovely package of items for me to try out.